Mercedes have confirmed the cause of Lewis Hamilton's engine scare in Brazil and remain hopeful that he will not take penalties at the Abu Dhabi Grand Prix. The Silver Arrows will make a call on whether to change the world champion's power unit after Friday practice in Yas Marina. Hamilton's victory in Brazil came amid frantic scenes in Mercedes' garage, with Toto Wolff revealing that he had been perilously close to suffering an engine failure at Interlagos. 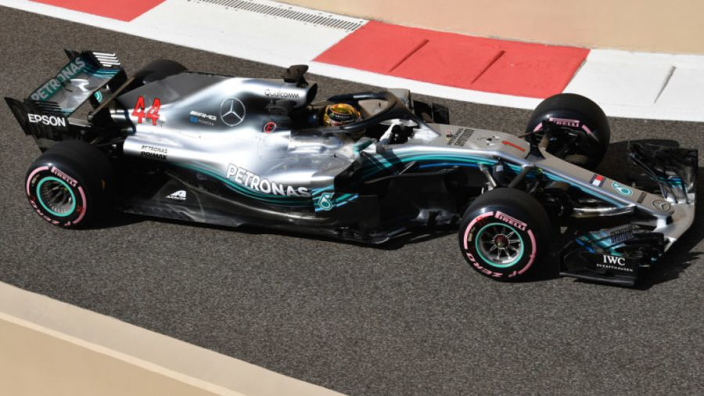 With his PU overheating, things had to be turned down as he raced in Sao Paulo and alterations within the regulations have been made in order for Hamilton to run the old engine in Abu Dhabi. With drivers' and constructors' titles secured already, there is little need for Mercedes to take a risk but Hamilton will likely want to avoid starting down the grid. "The problem in Brazil was caused by a failure in the variable inlet system that caused unstable combustion," said a Mercedes statement. "Engine settings were changed to contain the risk of failure and maximise performance during the race. "We have made hardware changes outside the sealed perimeter and we are running that engine (PU3) today. Data will be reviewed after FP2 to make sure all is okay."